We are pleased to announce that we have partnered with the 2015 Rocky Mountain Oil & Gas Awards. The Third Annual Rocky Mountain Oil & Gas Awards entry deadline is December 11, 2014. Should you want to be a part of an initiative that shines a positive light on the industry and also offers huge promotional benefits to finalists and winners, please submit your entry before the deadline. 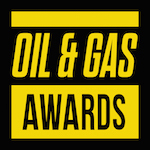 The Awards are judged by a senior panel of over 120 senior executives from E&P and Midstream companies and are supported by over 40 Media and Association partners. SDOGA co-hosted the 2014 Black Hills Bakken and Investor Conference October 1-2, 2014. The event was held at the Spearfish Holiday Inn and Convention Center. Be sure to Sign Up for our E-Newsletter to stay informed about future conferences and SDOGA partnered events! 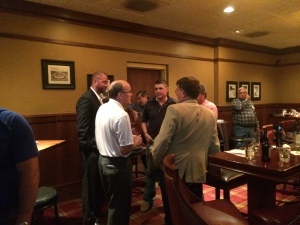 The South Dakota Oil and Gas Association hosts Oil and Gas Industry Afterwork Socials on a frequent basis. Don’t miss out on the opportunity to network with other industry professionals! Educational sessions and updates will be provided at future socials and events.